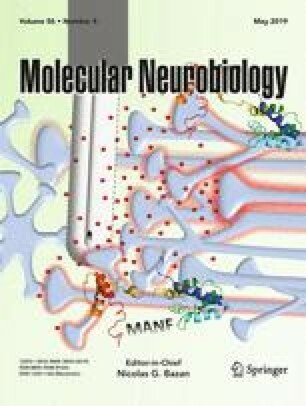 Multidrug resistance protein 1 (MDR1, ABCB1, P-glycoprotein) is a critical efflux transporter that extrudes chemicals from the blood–brain barrier (BBB) and limits neuronal exposure to xenobiotics. Prior studies in malignant cells demonstrated that MDR1 expression can be altered by inhibition of histone deacetylases (HDAC), enzymes that modify histone structure and influence transcription factor binding to DNA. Here, we sought to identify the mechanisms responsible for the up-regulation of MDR1 by HDAC inhibitors in human BBB cells. Immortalized human brain capillary endothelial (hCMEC/D3) cells were treated with HDAC inhibitors and assessed for MDR1 expression and function. Of the HDAC inhibitors profiled, valproic acid (VPA), apicidin, and suberoylanilide hydroxamic acid (SAHA) increased MDR1 mRNA and protein levels by 30–200%, which corresponded with reduced intracellular accumulation of the MDR1 substrate rhodamine 123. Interestingly, induction of MDR1 mRNA by HDAC inhibitors mirrored increases in the expression of the aryl hydrocarbon receptor (AHR) and its target gene cytochrome P450 1A1. To explore the role of AHR in HDAC inhibitor-mediated regulation of MDR1, a pharmacological activator (β-naphthoflavone, βNF) and inhibitor (CH-223191, CH) of AHR were tested. The induction of MDR1 in cells treated with SAHA was amplified by βNF and attenuated by CH. Furthermore, SAHA increased the binding of acetylated histone H3K9/K14 and AHR proteins to regions of the MDR1 promoter that contain AHR response elements. In conclusion, HDAC inhibitors up-regulate the expression and activity of the MDR1 transporter in human brain endothelial cells by increasing histone acetylation and facilitating AHR binding at the MDR1 promoter. The online version of this article ( https://doi.org/10.1007/s12035-019-1565-7) contains supplementary material, which is available to authorized users. Participated in research design: D.Y., X.W., J.R.R., L.M.A. Conducted experiments: D.Y., L.G., A.M. Performed data analysis: D.Y., A.M.
Wrote or contributed to the writing of the manuscript: D.Y., J.R.R., L.M.A. This work was supported by the National Institutes of Health–National Institute of Environmental Health Sciences (grant numbers R01ES021800, R01ES026057, T32ES007148, F31ES029794, and P30ES005022) and a Graduate Fellowship from Bristol-Myers Squibb to D.Y. Neither NIEHS nor Bristol-Myers Squibb had any role in the conduct of the study, interpretation of data, or decision to publish. The content is solely the responsibility of the authors and does not necessarily represent the official views of the National Institutes of Health or Bristol-Myers Squibb.